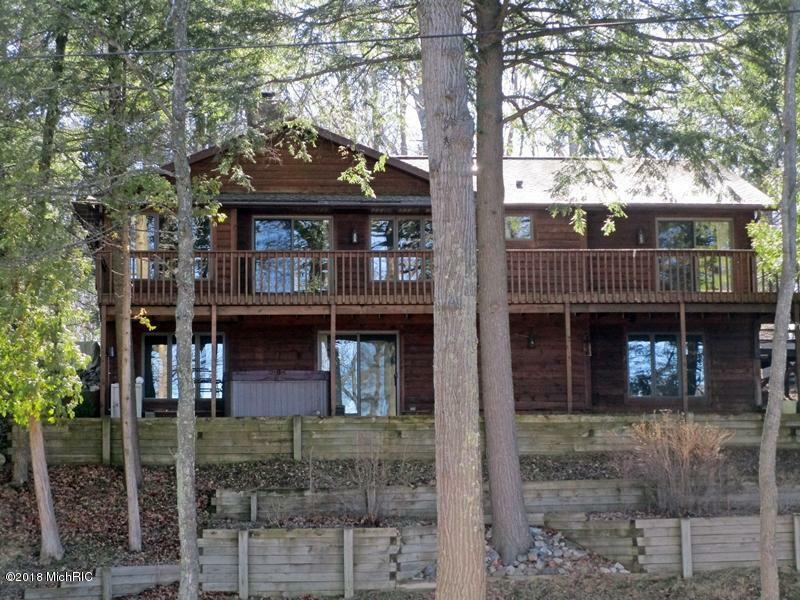 Beautiful hillside home on all-sports Horsehead Lake in Mecosta, MI. 1987 custom build walk-out home fits the wooded lake view setting. It offers breathtaking views of the lake and a nice open floor plan. Beautiful natural wood fireplace centers around the living spaces. Kitchen has a wonderful bay window, large pantry and a great u-shape for an easy work area. Dining has beautiful views all around. Large windows and door-walls in each room offer relaxing views. Master bedroom suite withstep-in shower in the bath. Two additional bedrooms and a full bath on the main level. The lower level has a large family room with a wet-bar area. Large laundry and mechanical rooms. Two other bonus room areas. Perfect sandy beach and a custom barn for boat storage make this a winner.